Welcome to the City of Mill City Permit Department! Looking for a form? Please check our online form section! Building a new home in Mill City? Per Mill City Municipal Code Section 17 every new home constructed in town must have a minimum of four (4) design features from the list of 16 design features outlined in the code on any side of the home which fronts a street. In general, building permits are required whenever a building or structure regulated by the State Building Code is constructed, enlarged, altered, repaired, moved, or converted to another use. Although there are some exceptions, most construction projects will require a permit. City staff can help direct you as to whether a permit is required. However, if you need specific code information you must contact Linn County Building Department at 1-541-967-3816 or www.co.linn.or.us. The City of Mill City contracts with Linn County for permits. Once the building permit has been approved by the city, it is forwarded to Linn County for this process. All permits within city limits, including those for Marion County, go through the Linn County Building Department. When ready for an inspection, contact Linn County Building at 1-541-967-3816. 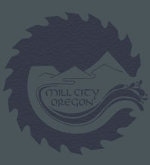 The following is a list of permit types processed by the City of Mill City. Electrical permits are handled directly through Linn County. A form can be downloaded by going to the link above. All structural permits require submittal of four (4) complete sets of structural plans and four (4) plot plans along with the permit application. In order to ensure a smooth outcome, is always best to check with the City prior to beginning any project, as in some cases permits cannot be issued until land use planning processes have been complete. For further information on building permits and/or fee calculations, please contact Stacie Cook, MMC, City Recorder, at (503) 897-2302.